Life with lung cancer looks different for everyone. But if you or a loved one was recently diagnosed, it helps to have an idea of what to expect as you embark on this new journey. During treatment at Regional Cancer Care Associates (RCCA), there will likely be challenges and fear, but there will also be happiness and strength. No matter where you’re at with your cancer, here are some common experiences that patients may have. Treatment. Many patients with lung cancer undergo multiple rounds of intense treatment. Your doctor will create a plan he or she thinks will work best for your cancer. It might involve surgery, ongoing chemotherapy and radiation, targeted therapy and more. Some patients also receive breathing treatments and oxygen tanks. These treatments help improve your quality of life and increase your chances of defeating cancer for good. Scans. During treatment, you’re going to have a lot of scans. Scans help doctors see if the treatment is working or not. It’s normal for patients to feel anxious about scans, but it’s important to remain hopeful. Side Effects. Surviving lung cancer comes with good days and bad days. Some common side effects of treatment include mental and physical fatigue, nausea and vomiting, neuropathy, changes in weight, hair loss, mouth sores and more. Personal Life. It might be difficult to work full time and participate in activities you once loved. But you’ll be able to find new ways to enjoy life, such as yoga, meditation, reading, painting and spending time with friends and family. Some relationships may grow distant, while others grow closer. Lean on your faith and loved ones for support throughout your journey. Finances. You might experience some financial strain during and after treatment, but there are resources to help. You might also be eligible for Social Security Disability Income (SSDI). Stigma. Unfortunately, there is a stigma associated with lung cancer. It’s something that many patients learn to cope with and overcome, regardless of whether they smoke or have ever smoked. Stay focused on the positive and use this time as an opportunity to educate others about lung cancer. There might be some roadblocks on the journey ahead, but you’re not alone. 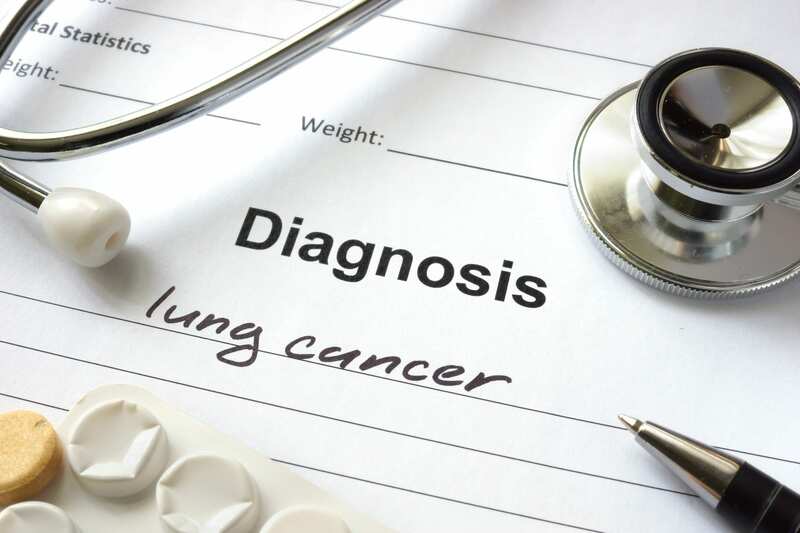 With help from the care team at RCCA, your family and friends and support groups, you’ll be able to give lung cancer everything you’ve got. Learn more about lung cancer today.